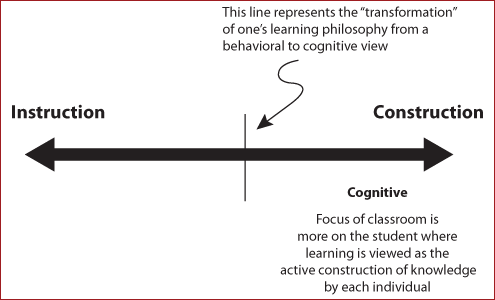 Constructivism is basically a theory based on observation and scientific studyabout how people learn. It says that people construct their own understanding and knowledge of the world, through experiencing things and reflecting on those experiences. 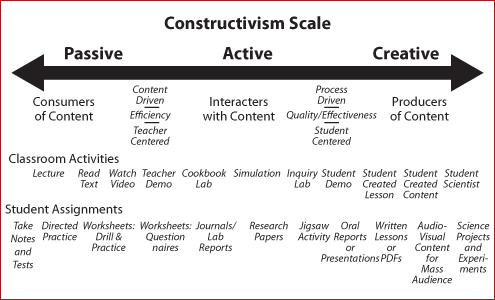 The main proponents of Constructivism include Jean Piaget, John Dewey, Lev Vygotsky & Jerome Bruner. When we encounter something new, we have to reconcile it with our previous ideas and experience, maybe changing what we believe, or maybe discarding the new information as irrelevant. In any case, we are active creators of our own knowledge. To do this, we must ask questions, explore, and assess what we know. 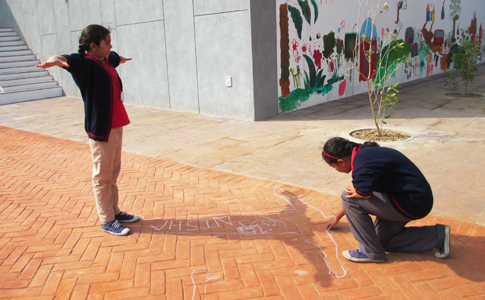 There are many different approaches to constructivist learning, depending upon the subject area or topic, the background skills of students and the learning objectives of the teacher. No teaching is wholly teacher-centered or wholly student-centered. Most classroom learning usually involves a mix of different learning experiences along a continuum between teacher- and student-centered approaches.